Content marketing is a significant part of the online digital world. It can quickly become confusing and intimidating, especially if you don’t know much about it. Well, never fear! This blog provides you will everything a beginner would need to know about content marketing. You probably won’t be a top content whiz after reading this blog, but it is hoped that you will have a better understanding of how it works and how to get the most out of it for your business. Content marketing should be an essential component of your online marketing plan. 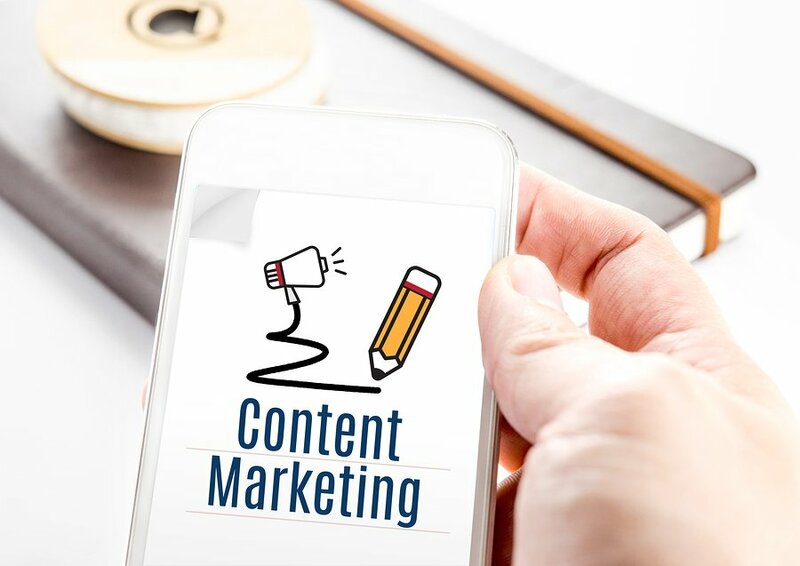 Content marketing is certainly a desirable path to follow because the cost is said to be 62% less than other more traditional marketing methods – research by Demand Metric. So even if you know nothing about content marketing, it is certainly worth your while conducting a little investigation to see just how it works! 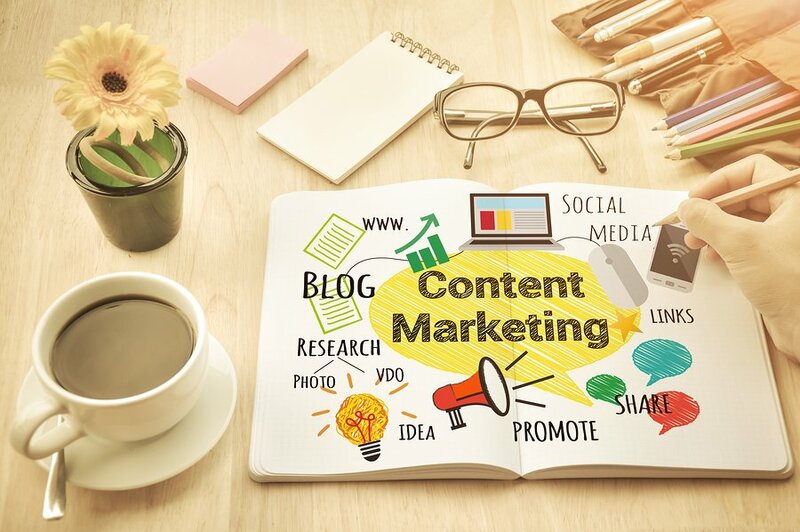 We will investigate the basics of content marketing and then look at what matters the most when you are deciding to develop a content marketing campaign for your business. That definition is all good and well, but how can you actually apply it in the real world? How can you translate that definition into something that will get you real results? Let’s break the definition down a bit, why don’t we? So content marketing is about both creating and promoting content of a high quality. This high quality content should then (hopefully) drive a desired activity or action by a consumer or other businesses. This could include social sharing, increased conversions, increased email sign ups, etc. You produce your content for a reason, but only the content of high quality that is deemed worthy by your consumers will be effective. Your content will not be effective if it doesn’t reach the right people so you also have to ensure you are targeting correctly. Content marketing ensures that the content you create is actually seen by people. That is a very valid question. Like a lot of other things in SEO, the results for content marketing aren’t immediate or easily seen. You will have to conduct detailed analysis of the effects your content marketing has had on your bottom line. Your content is developed with your marketing goals in mind. Everything you do and every decision you make about your content is made based on the goals you have set. There are a lot of different types of objectives that you can be trying to achieve through content marketing and it can be difficult to determine and choose what is best. Social Shares – obviously this is done through social media! Here you create content that is attention-grabbing therefore making it more shareable to your followers. Sharable content has the ability to dramatically improve your engagement on the various social media platforms. Acquire Links – when you create content of high quality it encourages other trustworthy websites to link to back to your website. Building links, especially from reputable websites does amazing things for your SEO and this is something Google and other search engines look for when ranking. Increase of Brand Awareness – quality content will get people talking and looking your way, this will then in turn increase your brand awareness! However, here it is important you are actually reaching the right people (i.e. your desired target market). Increased Traffic – with content that people actually want to read, you are sure to see an increase in traffic to your website. Also, high quality content is relevant to your business therefore the people on your website are likely to stay longer because they understand what your content is about and want to read more. Increase of conversions – successful content marketing will drive more activity to your website and business. This will result in an increased number of onsite conversions, may it be to your sales or just simply getting more people to sign up for your e-newsletter. Ensure proper goals and strategies are established to make the content marketing campaign work better. Like a lot of things, content marketing will not work with a solid goal in place. 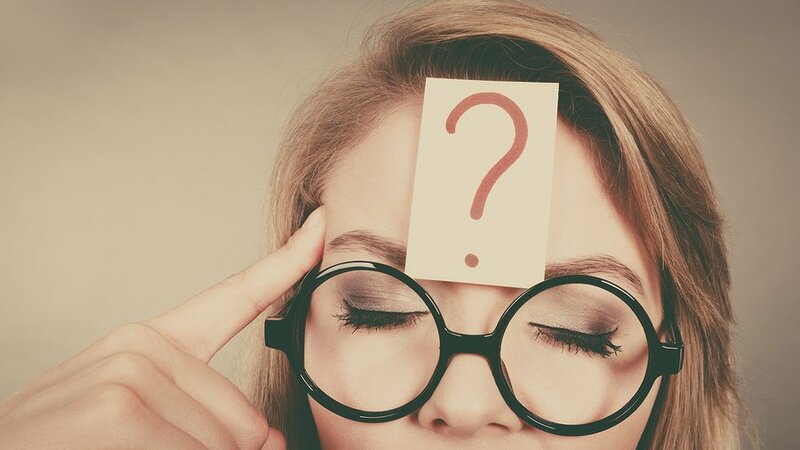 You must establish exactly what you want to achieve out of content marketing, otherwise you will be completely clueless about what you are doing and why you are doing it. Once you have successfully established your goals for content marketing, the process of performing an audit begins. Your audit should look at many different things such as influencer identification, competitor analysis, as well as any marketing strategies that the customer is already using. This information will assist in the creation of your content marketing plan. We aren’t not saying if you follow all these steps your content marketing campaign will be successful, not a lot of things work on the first try. You will have to change and adapt your plan as times change. But we can say with some certainty, that if you don’t establish goals, conduct an audit or develop a content marketing plan, then it is likely that your content marketing campaign will fail, or not live up to its full potential. What Matters Most for your Content Marketing Campaign? There are a lot of different things that make up your content marketing campaign. 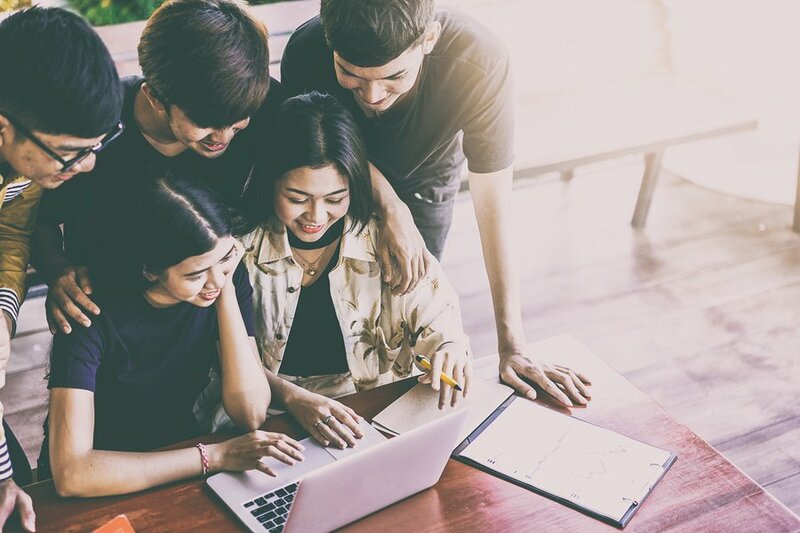 Not all are them are vital to its success, but you should have a read below of the most important steps to think of when developing a content marketing campaign. This is a simple step in creating a campaign that is effective. If you don’t know who you are targeting, how are you going to develop a campaign at all? It isn’t possible for you to just create content about everything and anything – you wouldn’t have time and this type of thinking lacks direction and purpose. Think about the type of consumers that are purchasing your goods and/ or services. They are likely to be your target for content marketing. However, sometimes your target audience is too wide. Therefore you will have to think of ways to niche your target audience and focus on one area for content and do that really well. When deciding on your target it is important that you be specific. By being as specific as possible you will have a better understanding of who you are creating the content for. You will also be able to better meet their needs as you know what type of content they are after. If you are having difficulties deciding who you should target with your content then it is recommended that you create a buyer persona. This is where you come up with a description of what your ideal customer would look like. When doing this you should list characteristics and traits of this individual as well as things such as age, job, fears and their goals. By getting this deep understanding of your desired customers, you will have the ability to create content that they will love. Develop content around what your audience wants. What they need – i.e. the type of content that they would like to read and content that isn’t being over used (for example don’t talk about something that your audience would have already read about hundreds of times!). What they like – i.e. the type of content that they have enjoyed and engaged with in the past. This can be found by looking at the type of posts they have previously share or commented on. Producing content is thought to be fairly difficult, however if you approach it the correct way, it becomes quite easy. Understanding what your audience wants is also easy (it’s knowing who they are in the first place that is actually the hard part!). It is important for you to stay in touch with the latest news from your industry. This means that you will be able to stay on top of trends and new information which you can turn into interesting content for your audience as quickly as possible! You can do this by creating a Google News Alert on a certain topic. So for example, if you are in the furniture industry you could go to Google News and create an alert on this topic and therefore every time a new article is released you will receive a notification. This could potentially save you a lot of time because you don’t have to go out looking for the latest news; it just gets delivered to your inbox! We have addressed how to FIND the type of content your audience needs, so now we will have a look at how to CREATE the content that your target will like and want to read. Here you should look at the type of content that has done well in the past. Then, you should take that content one step further by building on it and making it better. But how exactly can you do this? Well, a tool called Buzzsumo is here to save the day! Buzzsumo allows you to see the type of content your audience is currently sharing the most. Adding more images, videos, graphics, infographics, gifs etc. – anything to break up the text and give the audiences’ eyes a break. Finding more up to date statistics – this could include doing your own studies etc. if you have enough resources to do it. Ensuring the content is fun to read – you should try and make it as relatable to your audience as possible and remember they don’t have to read your content if they don’t want to, so you have to give them a reason to stay. Create shareable content that people are interested in reading. And lastly you need to understand the best way to get your content in front of different people. All your effort from the previous steps is potentially wasted if you don’t know how to get new people looking at your content. You must always be striving to create content that more and more people are interested and always be looking to grow your following. Get in touch with people that have previously shared similar content to yours (you can find this through Buzzsumo – we talked about this in the second step). Use PPC advertisements from Facebook in particular. You can use Facebook ads to target the type of audience you want. So for example, if you are looking to target 20-25 females in Sydney, then Facebook ads allows you to place your ad only on profiles matching that description. Content marketing seems like a different area to crack, however once you break it down and look at each piece of it, it can be quite easy. 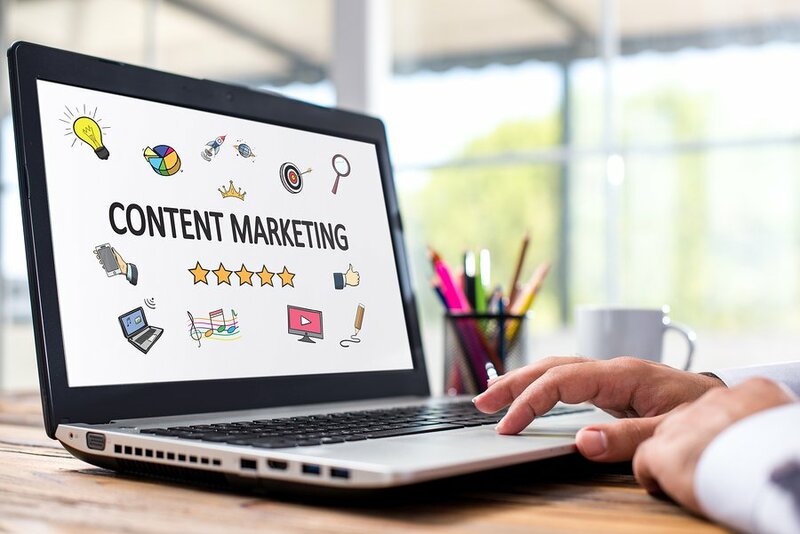 If you are just starting out with content marketing it is important that you have a proper understand of what it is, what it can do for your business and how you can get the best possible results. When developing your content marketing campaign there are a few key areas that you must look at to improve your chances of success. You should look at who you are going to target, what they want from their content and how to get your content to new people. Following these 3 steps will hopefully improve your chances of running a successful content marketing campaign. Read ➡ Does Your Business Need to be on Facebook? Thanks for your comment! We are glad you liked this blog.